PREDEFINED TABLE introducing a set of predefined table styles that allow you to quickly choose the look of your table. Once selected, the style will set the needed formatting properties of the table and allow you to fine tune the look by modifying any of the individual properties available. SHAPE MAP CAN USE CUSTOM MAPS: Once you have a custom TopoJSON map, you can use it with Shape Map. 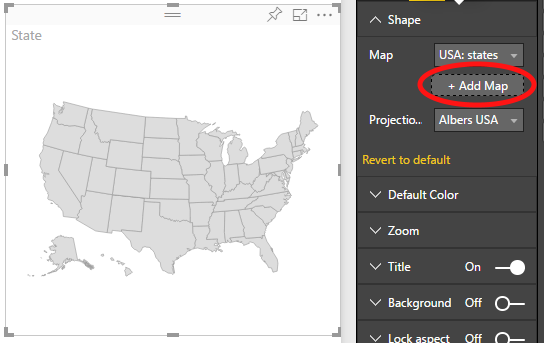 Simply add the ShapeMap visual to your report, and add some data to the Location and Values buckets. Then under Format | Shape options, select the Add Map button and then your TopoJSON file. If you are having issues mapping your data to the map regions, you can select View Map Keysto see all the region keys the selected map is using to match to the data. DATA CONNECTIVITY: Amazon Redshift and Impala, n order to try this connector, users have to first enable the Preview feature. This can be done via the Options dialog (File -> Options and Settings -> Options), under the “Preview Features” tab. Run R script in Query editor. You can expect your dataset to be updated with the changes made by the script. Note that you need to have R installed locally in order to take advantage of this feature. You will also need to change the privacy setting of all data sources to public in order for the script to be performed on those data sources. 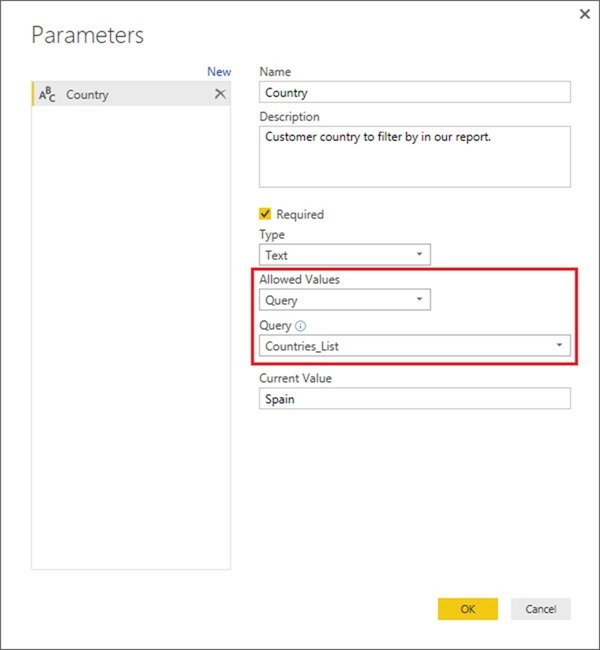 customers can link to another query from which the list of Allowed Values for a Query Parameter should be retrieved. 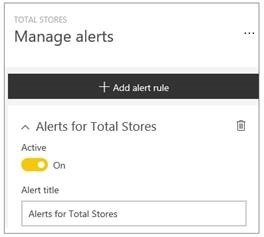 DATA DRIVEN ALERTS: You can set alerts for your numeric tiles featuring cards and gauges. 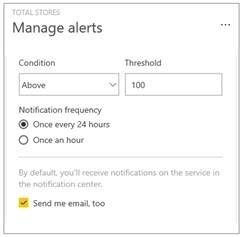 You have control over how often you want to be notified about your data, and whether you want to receive an email when your data goes beyond the limits you set. RLS graduates from preview: RLS has graduated from preview and is now generally available for all Power BI Pro users. Additionally, we have extended our Analyze in Excel feature to support datasets that use RLS too. You can also analyze RLS-enabled data in Excel using Analyze in Excel feature. DATA CLASSIFICATION: using the new dashboard data classification, you will be able to raise the awareness of those viewing your dashboards about what level of security should be used. You can tag your dashboards with classifications defined by your company’s IT department, so everyone viewing the content will have the same level of understanding around the sensitivity of data. ANALYZE TOUR ON-PREMISES DATA IN EXCEL: When you click on Analyze in Excel for your on-premises AS data, we establish a secure and direct connection that enables you view and analyze it in Excel. admin setting control analyze in excel fo on-premises as data. admin can control over whether or not the users in your tenant can analyze your on-premises.